Have you ever found yourself wandering around at 2 in the morning wishing you could buy a cupcake without having to go into a supermarket? Of course you have. We all have.But if you're in the Los Angeles area, you now have the world’s first 24-hour cupcake ATM at your disposal. The minds behind what certainly seems to be the greatest invention in human history work at LA bakery Sprinkles, and the new ATM is an always-on dispenser of Sprinkles' confections that the bakery promises will be restocked with fresh cupcakes day and night. 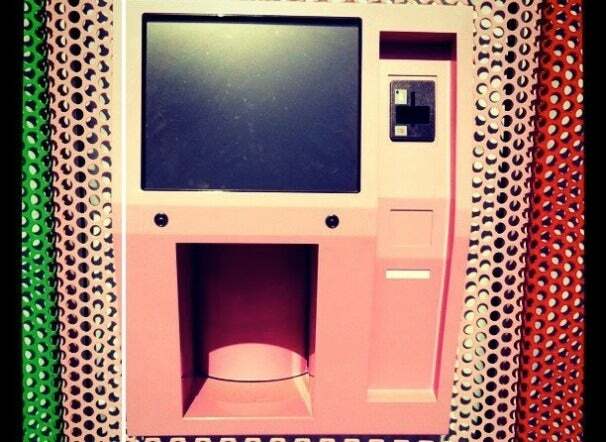 Eagle-eyed cupcake fans first noticed the pink ATM-like machine earlier this week, but Sprinkles has since confirmed that the machine will in fact dispense fresh-baked cupcakes, along with ingredients for you to go home and make your own and Sprinkles deliciousness. The new automated venture, known as 24-Hour Sprinkles, it even has its own Facebook page, so even if you can’t make it out to Los Angeles, you can at least let the world know about your support for automated cupcake dispensers. Maybe if we all click the like button enough they’ll build one in every home.